It's quick and easy to set up integration to your Xero accounting system. Let us show you how! 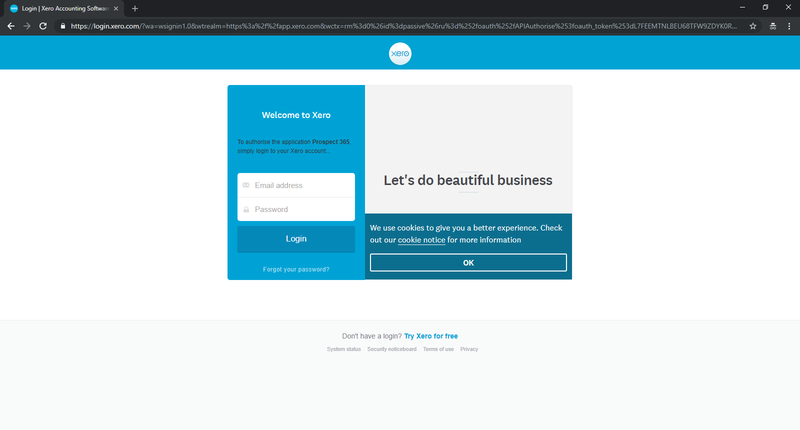 If you are already on a Free Trial and have decided you would like to get your trial account integrated to Xero, skip straight to Step 4 of this guide to get it configured. 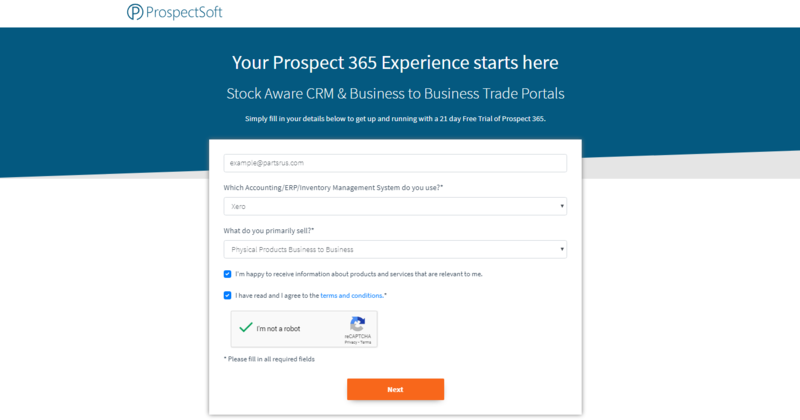 Navigate to signup.prospect365.com and sign up for a Free Trial of Prospect 365, ensuring you choose Xero from the drop-down list as shown below. 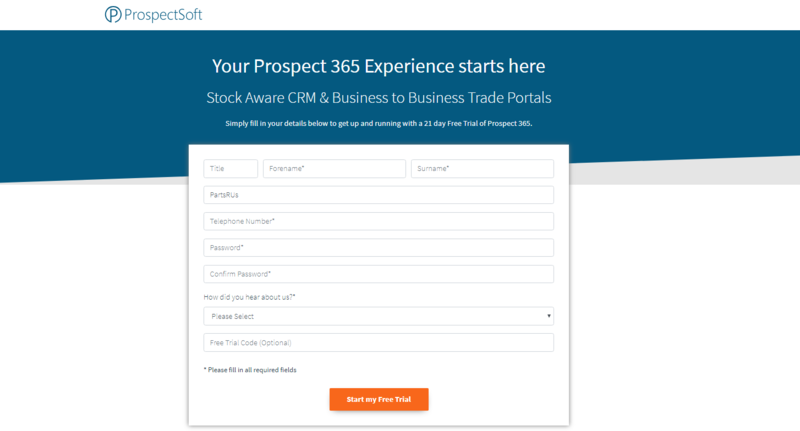 You will automatically be taken to the Welcome page within your Free Trial account. In the Getting Started section, press the 'Configure Now' button on the right-hand side. Xero should already be selected for you in the drop-down list. If you're already on a Free Trial with us and decide you'd like to configure the integration to Xero after all, navigate to the Welcome page by clicking the tick icon in the top right-hand corner of the CRM and follow the same steps. Next, press the blue 'Connect' button. To start the data import, you will need to log in to Xero using your Xero credentials. 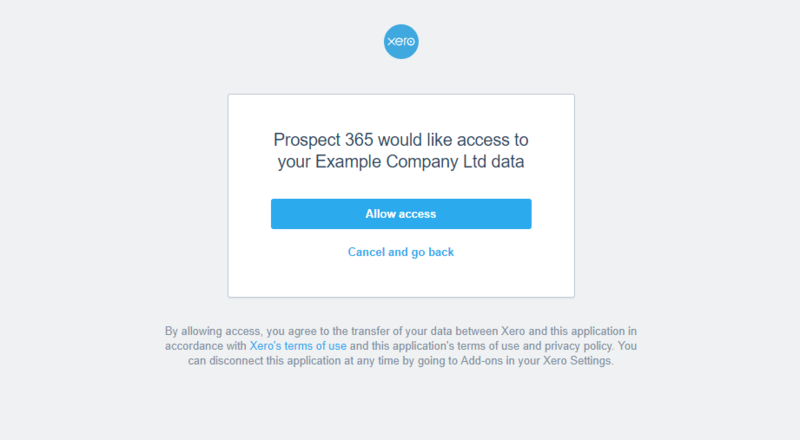 Once connected to your Xero account, you need to press 'Allow access' so that Prospect 365 can access your data. 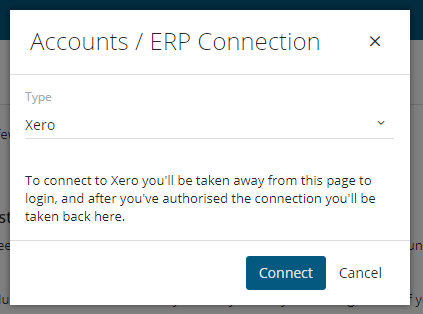 You will then see a message saying that your data is importing from Xero. Depending on how much data you have to import e.g. lots of ledgers and sales history, this process can take a short while to complete. 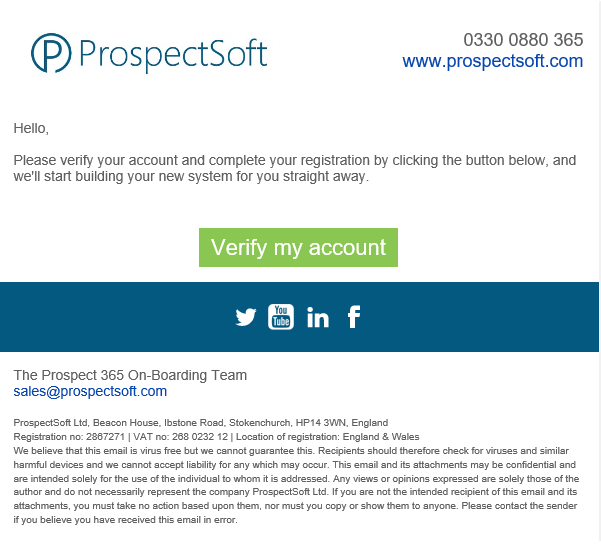 Should you experience any issues when setting up the integration, remember that our Customer Success team are on hand to help out, so don't hesitate to call us on 0330 0880 365 or start a chat conversation with us from our website!